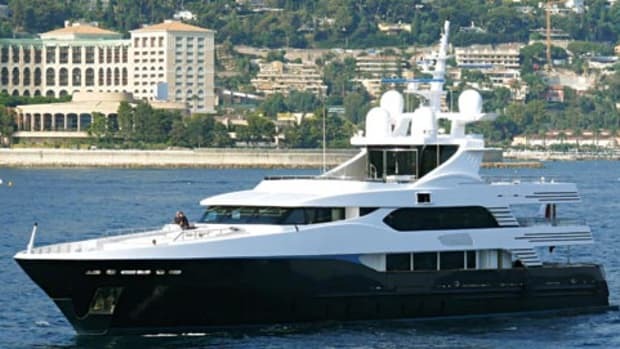 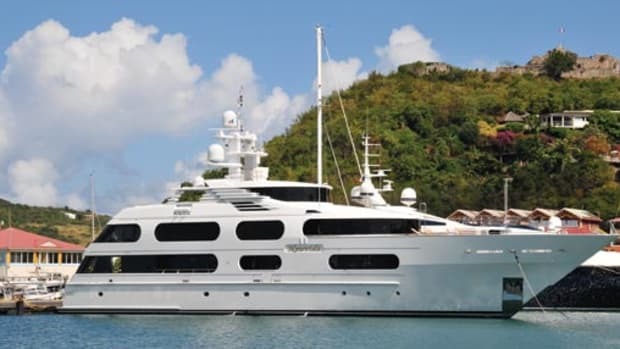 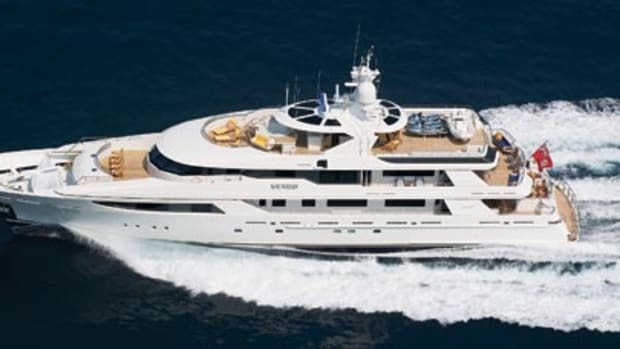 Enterprise V is among the megayachts that pulled into the megayacht marina Yacht Haven Grande in StThomas when it first opened in 2007. 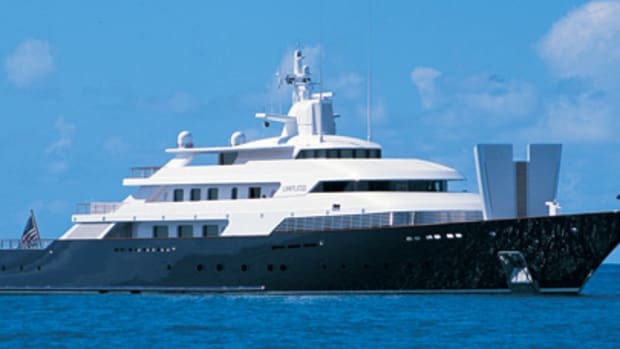 She was in Fort Lauderdale when we were going to press. 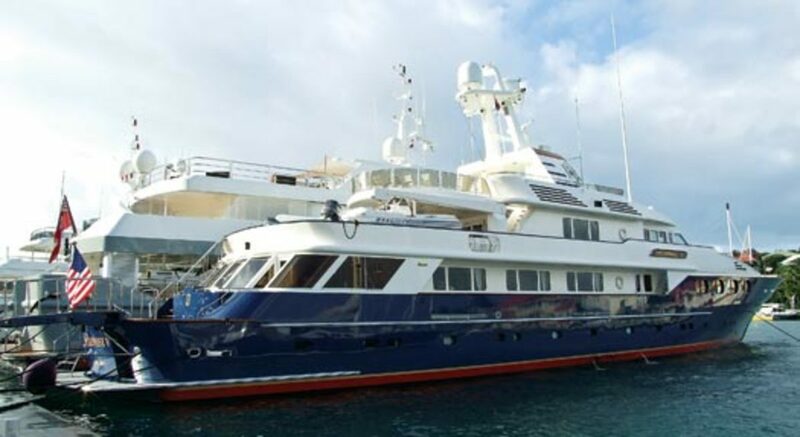 She’s also for sale for $22.5 million, having had just one owner since delivery more than 15 years ago: Richard DeVos, cofounder of Amway. 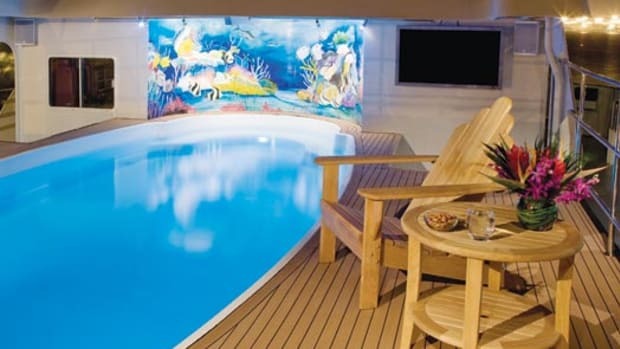 • there’s a breakfast bar in the skylounge, serviced by a dumbwaiter leading from the galley on the main deck • there’s a fitness room and head in the lazarette.